Joe set down his magnifying glass and rubbed his eyes, sure he wasn’t seeing clearly. 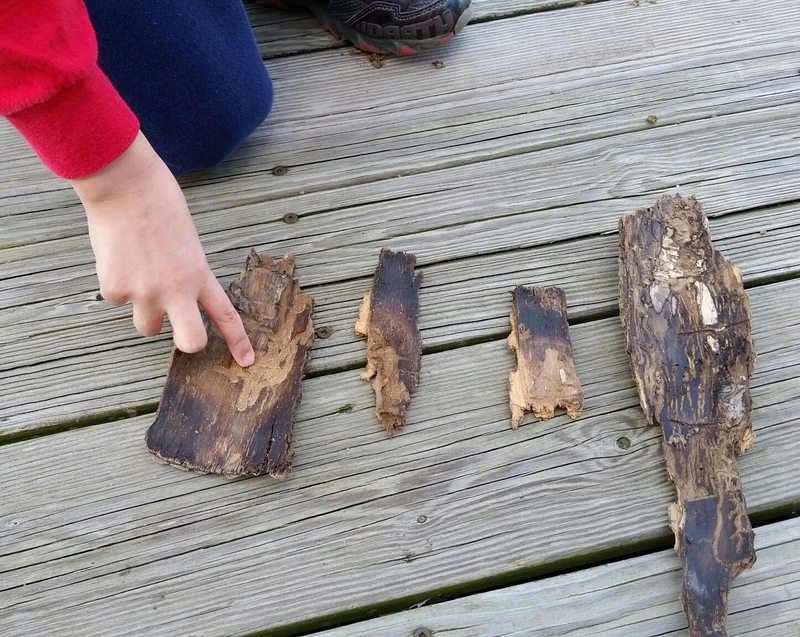 After a few minutes, he picked it up again and looked at the small, worn piece of bark. They were still there. Tiny, squiggly paths swirling all over the underside of the bark. What did it mean? What could have made these swirls and whorls? Sighing and scratching his chin, Joe carefully put the bark samples in his Bug Collecting Bag, snapped a few pictures of the log he had found them on and headed to his lab to do some research. After searching his favorite bug blogs and typing a few key phrases in Google, he was still stumped. He’d found nothing to explain the odd paths he’d discovered. “What are you up to sweetheart?” his mom asked, poking her head around the door. Joe showed her the piece of bark. She ran her fingers over the tiny rivulets, feeling the grooves. “Hmm. I’ve never seen anything like this before. At least, not on a tree…” she said, her voice trailing off. Joe shook his head and let out a frustrated sigh. “Any luck with your research?” she asked in a strained voice. His mom quickly left the room, mumbling something about fixing dinner. It was only after he’d put the bark back in his bag and shut his laptop that he realized something was off about his mom’s response. She seemed almost nervous, or…something. What was it she said after she examined the bark? “What an odd thing to say,” he mused. Yes, he would figure it out…he always did.